Another great email and beautiful art from a talented young artist… Thanks Samuel! Thank you for all the great books you have written. 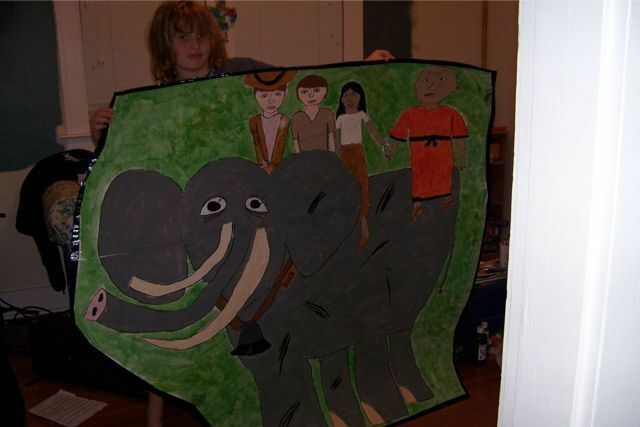 I wanted to share a painting my 12 year old son, Samuel did for a book report on Elephant Run this past month. As an audiovisual for his report he decided to do a picture of Jackson and Nick Freestone, Mya, and Hilltop on Hannibal. He worked quite hard on it and included so much detail. The result was a beautiful painting that I love and hope you will enjoy as well. Your book was truly inspiring! If you are ever in Kentucky for any reason we would love to meet you. We are great fans! You were awesome last week(:!!! We really enjoyed having you!!! Rachel’s dad was in denial about the black panther not existing thing!! 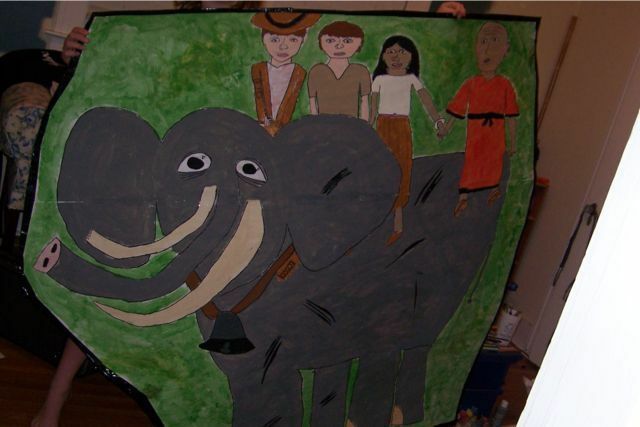 Could you make another book just like elephant run? I love it soooooo much and lost count on how many times i have read it. Mabe one about WWI and Nazi Germany!